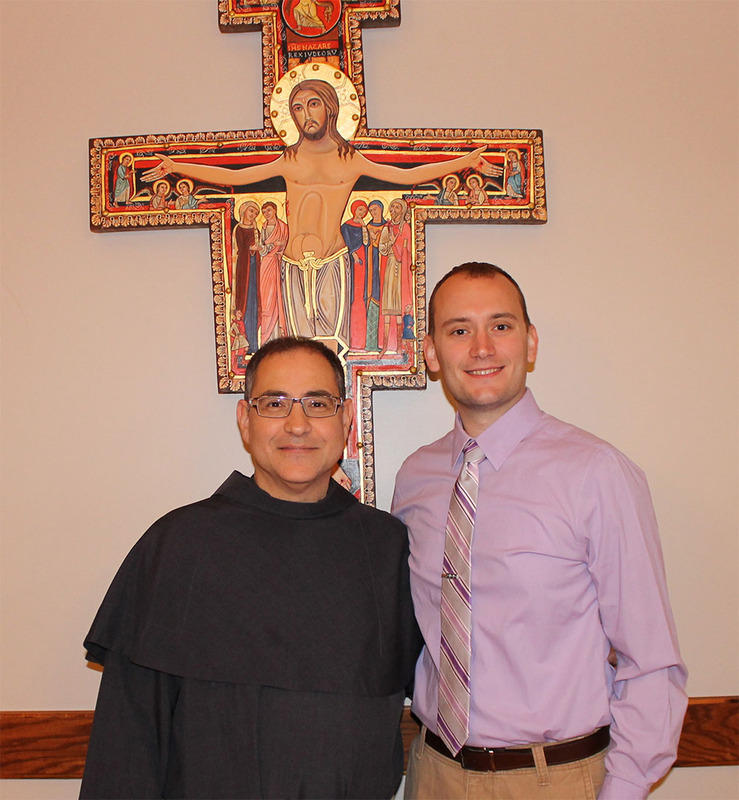 Current Director, Friar Rick Riccioli, OFM Conv., and incoming Director, Mr. Alexander (A.J.) LaPoint in front of the San Damiano Cross. As he handed out free bag lunches to feed hungry neighbors on Syracuse’s Northside, Alexander (A.J.) Lapoint didn’t know exactly how God was calling him. As a member of FrancisCorps, a young adult Franciscan volunteer service experience, A.J. was spending a year of his life living and praying with others as each served the poor. Whether he was offering sandwiches, hot meals, or bags of groceries, A.J. was encountering Jesus in the people he served, and deepening his Christian faith. Founded in 1998 by Br. Jim Moore, OFM Conv., FrancisCorps has asked a few basic questions: How do we share the passion and vision of St. Francis of Assisi with the next generation of Catholics? How do we empower lay young-adults to make a difference? Its answer is to offer a year of living in community and providing Gospel service to brothers and sisters in need. In FrancisCorps, young adults live, eat, and pray together in one of two FrancisCorps volunteer houses: one located in Central New York in the city of Syracuse and the other in Alajuela, Costa Rica. In both Syracuse and Alajuela, FrancisCorps has seven different placement sites for the volunteers. 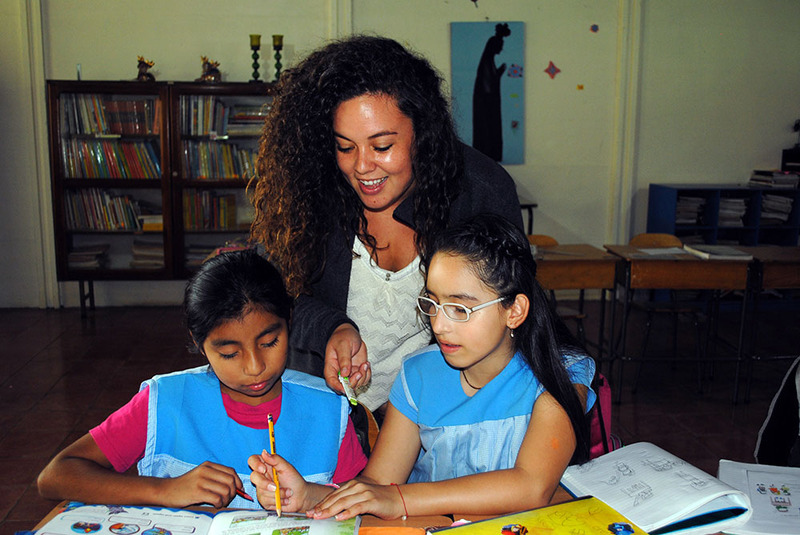 Bianca Villasenor, FrancisCorps class of 2014, tutors young girls to read in Alajuela, Costa Rica. The placement sites work directly with the poor in after school community centers, in community centers for developmentally disabled adults, in food pantries for the poor and marginalized, assisting with refugee resettlement, helping at addiction treatment centers, and in a shelter for battered women and children to name a few. In its 17 years, over 100 FrancisCorps volunteers have experienced this life-transforming year of community life and service to the poor. 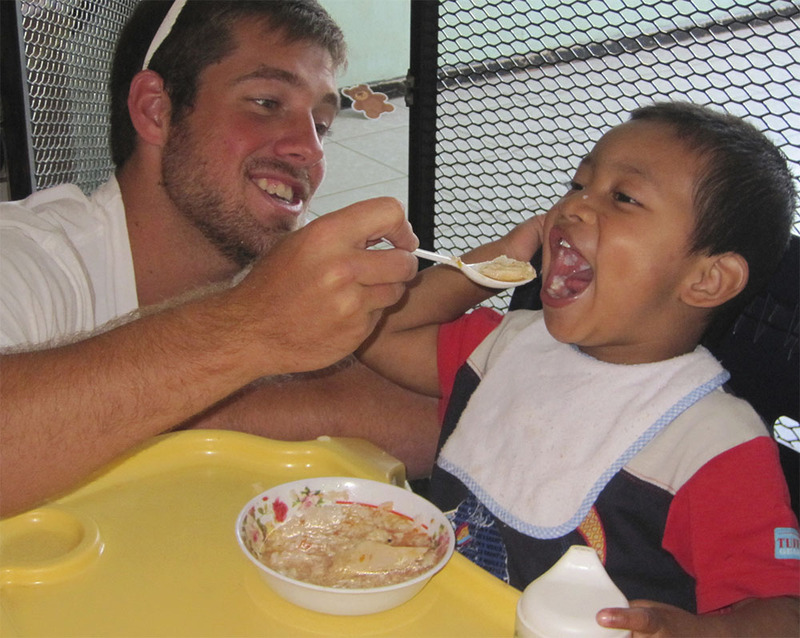 Jordan Differding, FrancisCorps class of 2009, feeds a young child in Alajuela, Costa Rica.